Bigg Boss 9 Winner: After a long time of more than 100 days and facing competition 24×7, at last the winner of bigg boss season 9 (double trouble) has been declared in the closing ceremony of the tv reality show. It is considered to be the most controversial Indian television reality show. 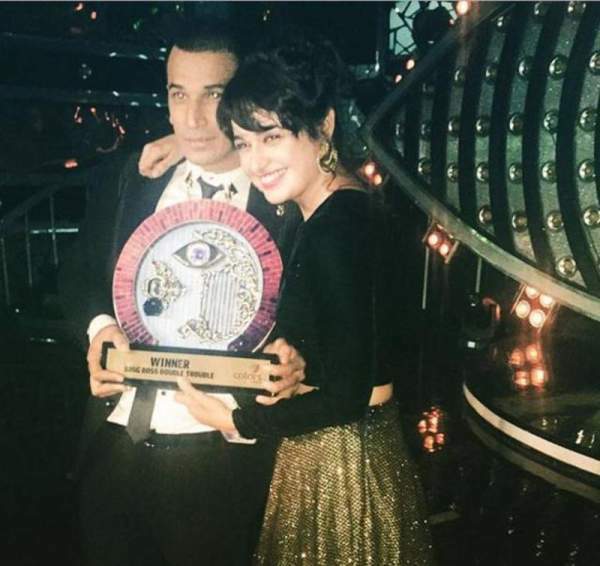 BB9 finalists were Prince Narula, Mandana Karimi, Rishabha Sinha, and Rochelle Maria Rao. Only one could win. Thus, Prince outshined rest of the contestants to come up with the winning trophy. Narula who already have won 3 titles of different shows in the last 1 year bagged one more trophy. On Saturday night, Prince Narula widely known for his fights and flirting was declared as the winner of big boss 2015 while Rishabh was announced as the runner up. Prior to the results, the housemates got suprise as they welcomed the new generation Bollywood star Arjun Kapoor. The contestants had a face-off with him. He promoted the upcoming season of Khatron Ke Khiladi which will start soon. Arjun made the finalists to do some tasks. Later in the day, the housemates were given some relief with the comedy punches delievered by the team of comedians Krushna Abhishek, Bharti Singh, and others. They visited the house. The winner of bigg boss double trouble came into limelight when almost everybody refused to go inside the house as his partner. Not only women, even men neglected him. They put off him just after his introduction. Here below is the results of the votes counting. Check out to know more. There was a tough competition between Rishabh and Prince. It is visible by have a look over the total number of votes received. Including this title, Prince has won a total of 4 titles consecutively. The row of his titles includes Mr. Punjab, Roadies X2, and Splitsvilla 8. He made sure that audiences enjoy all the drama, action, comedy, and romance from his actions. He had fights with all of the fellow contestants. Further, he made a sister and flirted with three women. Prince confessed his love with Nora Fatehi and Yuvika Choudhary. He even managed to flirt with Rochelle Rao who is committed to Keith Sequeira. The tv show Biggboss has witnessed the people winning who didn’t have apologized for themselves and have fully entertained the viewers by their actions and antics. The list of previous bb winners include Gautam Gulati, Gauhar Khan, Urvashi Dholakia, and Shweta Tiwari. Not even audiences, some of the co-contestants like Kishwer Merchant, Suyyash Rai, Priya Malik, and Yuvika Choudhary revealed after their eliminations that they wanted Prince to win the game show. Stay tuned to The Reporter Times for latest Bollywood and Entertainment industry news and celebrties’ updates. Don’t forget to share it on social media sites like Facebook, Twitter, Google Plus and others.